For anyone looking for an active travel destination, there’s simply no better place to experience active travel in Alaska. From expansive views of breathtaking landscape to local wildlife, the Last Frontier is really something unique. Today’s guest poster, photographer Dennis Calhoun, visually brings us one step into Alaska’s incredible Denali Park with his incredible photographs. Listen up baby boomers; adventure awaits in Alaska! A while back I traveled to Denali National Park to see the mountain and the wildlife in the surrounding part of the park. It is one of the most interesting and exciting places I have ever seen. I traveled in the Autumn season, during August, and the terrain around Denali (the native’s name for Mount McKinley) was on fire with bright red color. After you arrive and check in at your hotel, sign up for the bus tour of the park. 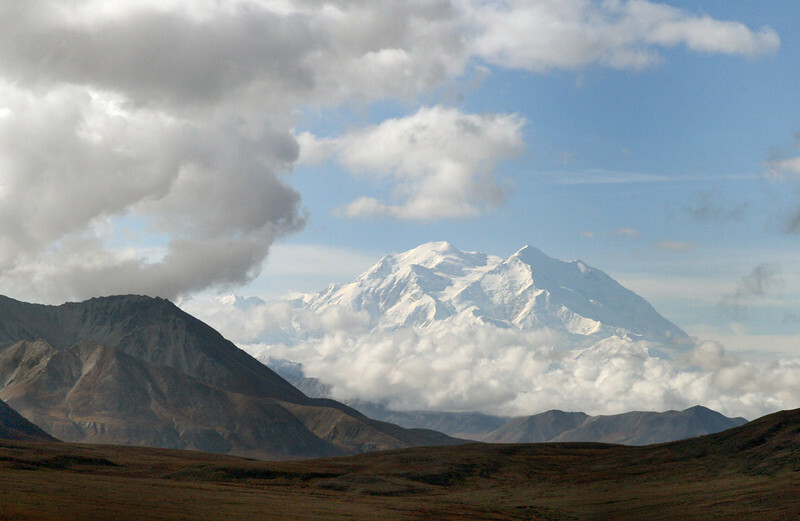 It’s the only way to see Denali up close. The bus will stop for all wildlife! You will be immersed in one of the most stunning places that you can possibly imagine. 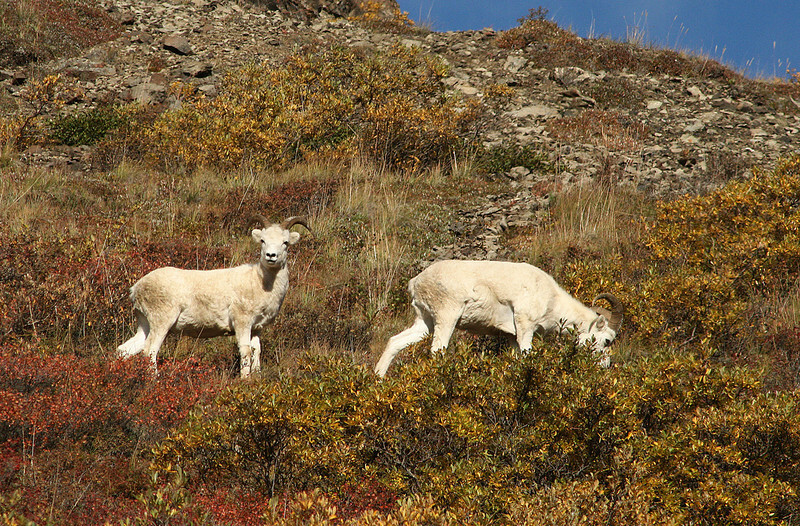 The Dall sheep stood out in white against the green and red background color. A grizzly bear searched for food on the valley floor below us. Along the road, a wolf slowly crept from the undergrowth and looked at us! We were also lucky enough to be in the vicinity of some lovely caribou. I watched as moose ate from the small trees and bushes they could reach. At the end of the drive, we stopped to view an awesome sight – Denali. Immediately, you are dwarfed by the immense mountain range and the incredible peaks known as Denali. On a great day, like we experienced, the clouds are moving and the entire mountain can be seen in all its glory! The snow-covered mountains are so white in the sunlight that a camera struggles to capture that which your eyes are witnessing. The glowing red valley and the green and brownish low hills lead right to the stark white mountain. If you ever shed a tear for the sheer beauty of our planet, this is the place. I chose to ride the glass-domed train from Denali back to Anchorage. This method of travel back is recommended as it is both relaxing and beautiful. There is a full-service dining car and the food is good. 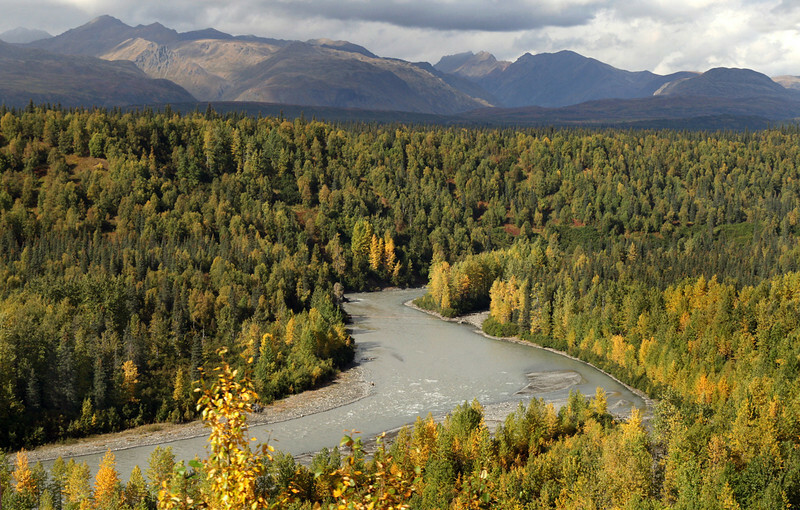 You can enjoy a view of Alaska away from the coast as you travel. Photography platforms are present for those who enjoy taking photos of the rivers and valleys you will pass. Of course, Alaska offers all sorts of opportunities for incredible excursions such as cruising the coastal parts of Alaska and taking a whale watching boat tour. 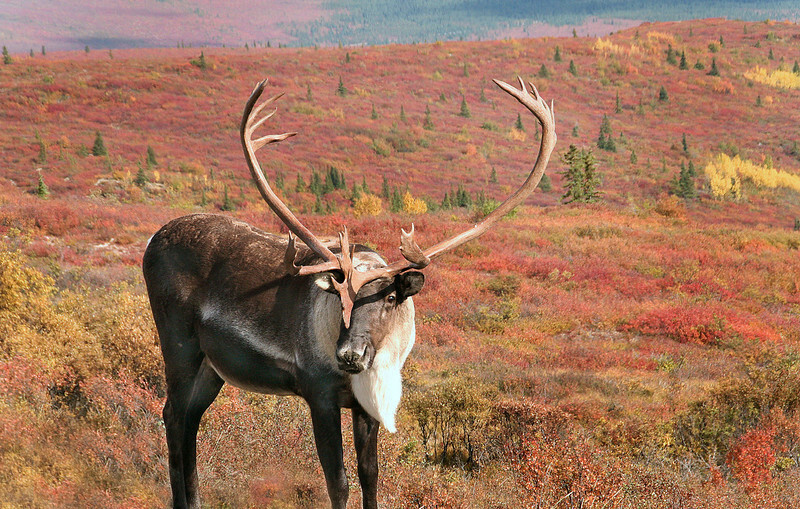 Granted, these are wonderful experiences, but, please do not miss Denali Park. It is a sight that you will never forget. Looking for more advice on Alaska Travel? Check out our Active Alaska Travel Planning Guide for the active boomer traveler! Have you ever been to Alaska or Denali Park? Join the conversation at the My Itchy Travel Feet page on Facebook or send us an email. Originally trained as a photo journalist, Dennis Calhoun is a photographic artist working in fine art and nature photography. His work can be seen on his website, DCalhoun Photography.